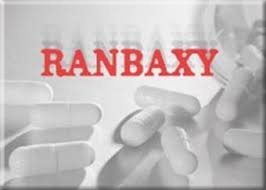 Ranbaxy Laboratories Limited is a research- based international pharmaceutical company serving customers in over 150 countries. Ranbaxy Laboratories Limited is a research- based international pharmaceutical company serving customers in over 150 countries. For more than 50 years now, the organisation have been providing high quality, affordable medicines trusted by healthcare professionals and patients across geographies. Ranbaxy is a member of the Daiichi Sankyo Group. Daiichi Sankyo is a leading global pharma innovator, headquartered in Tokyo, Japan. The organization has ground operations in 43 countries and 16 manufacturing facilities spread across 8 countries. Ranbaxy covers the top 25 pharmaceutical markets of the world and has a robust presence across both developed and emerging markets, offering high quality affordable Pharmaceuticals. The organization is a vertically integrated company that develops, manufactures and markets Generic, Branded Generic medicines, Anti-retrovirals (ARVs), Active Pharmaceutical Ingredients (APIs), and Intermediates. It has a large portfolio of over 500 molecules that cover multiple dosage forms including tablets, capsules, injectables, inhalers, ointments, creams and liquids. Its presence extends across therapies and includes Anti-infectives, Cardiovascular, Pain management, Central Nervous System (CNS), Gastrointestinal, Respiratory, Dermatology, Orthopaedics, Nutritionals and Urology. Biotech and Vaccines are two new segments that they have begun investing in. A stronger presence in these areas will add significant depth to the existing product pipeline. Through its unique hybrid business model involving Daiichi Sankyo, it has also introduced innovator products in markets around the world. Continued focus on Research and Development (R&D) has resulted in several regulatory approvals in both developed and emerging markets. The company has multiple R&D centres in Gurgaon, Haryana, India with facilities for generic and innovative research. Its scientists have given India its first New Chemical Entity (NCE) that was launched on April 25, 2012. The product, SynriamTM, is a new age cure for Malaria. With a strong focus on research in generics, they are increasingly working on more complex and specialised areas. The organization business philosophy isbased on delivering value to its stakeholders, constantly inspiring our people to innovate, excel and set new global benchmarks. The multicultural workforce, comprising more than 14,600 employees of over 50 nationalities, gives it the strength to make quality healthcare accessible to people around the world. It remains committed to aggressively pursuing the mission of "Enriching lives globally, with quality and affordable pharmaceuticals". Achieving customer satisfaction is fundamental to its business. Provide products and services of the highest quality is another one. Practice dignity and mostly equity in relationships and provide opportunities for people to realise their full potential. Ensure profitable growth and enhance wealth of the shareholders. Foster mutually beneficial relations with all the business partners. Manage its operations with high concern for safety and environment. Be a responsible corporate citizen. At Ranbaxy, people are committed to providing affordable pharmaceutical products of global quality standards to patients all over the world. 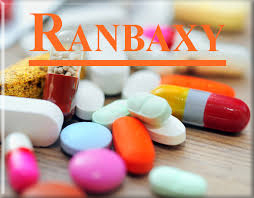 In several countries, Ranbaxy ranks among the leading companies in various therapy areas.